Rumours that a highly anticipated electric car from Apple could be built in Austria have been strengthened following a report in a German newspaper Frankfurter Allgemeine Zeitung. As The Local Austria reported last year, a well-placed source inside the electronics giant suggested that lead product designer Steve Zadesky had been making regular trips to Austria in relation to the project. It was thought that Apple may be looking to partner with Austrian vehicle manufacturer Magna Steyr, which has produced more than a million vehicles for BMW and also produces the Mercedes G-Class at its plant in Graz. 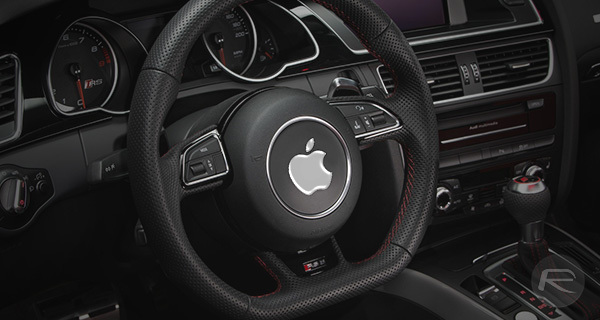 The rumour that the Apple Car will be built in Austria by Magna Steyr is again circulating, following a recent report in the Frankfurter Allgemeine Zeitung. Further to the reports about an Austrian link, the newspaper claims that Apple has hired twenty “progressive thinking” young professionals who are currently working on “Project Titan” in a secret laboratory in the Berlin. Quoting “informed sources,” they also reported that the car will not appear until 2019 at the earliest and alleged that it may not be self-driving, as has previously been reported.